There are a number of hotels, resorts and apartments at which you can stay on Sal Island, though you may wish to consider those that are situated in Santa Maria, on the south of the island. Santa Maria is the main tourist destination on Sal and where you will find most of the hotels, restaurants, bars and activity centres. There are also some new larger resorts on the west coast which you may also like to look at before booking your holiday. Can you recommend places to stay on Sal? An island trip is one thing many people do while visiting an island. There are many tours to choose from and many tour operators offering full or half day excursions. On Sal it usually includes a trip to the Blue Eye, the port of Palmeira, Shark Tour or the Volcano at Pedra de Lume with a stop for some refreshments or lunch depending whether it's a half or full day tour. 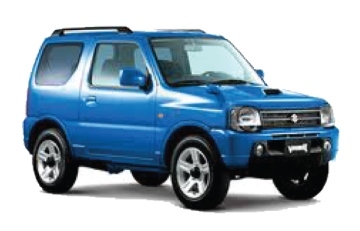 Or alternately hire a car but a 4x4 is probably the better option for an Island tour. A quad or a bicycle are also a few other options but restricted to certain areas. Some free activities include leaving the hotel and walking into Santa Maria, or if you can't manage the walk then there are many taxi's available. Relaxing at one of the many bars or restaurants along the beach and watching locals playing voleyball, surfing, beach football. You can hire various forms of transport including cars, bike's, quads, or take a walk along the promenade and visit the pontao (pier). There are surf schools and surf centre's in and around Santa Maria. There is a fitness gym in the Hotel Novorizonte and even a man made gym on the beach along Praia Antonio Sousa. Can you recommend things to do and see on Sal? TIP-1: If already in Santa Maria, you can visit some restaurants by taxi such as Ponta Preta on the West coast and stay to watch the sunset and maybe surfers on some big waves or visit the east coast during the winter months and watch the kitesurfers along the shore at Kite Beach. Though the east coast restaurant may be closed in the summer months (lack of wind for surfers) the west coast restaurant at Ponta Preta remains open. TIP-2: Did you know you can contact a different hotel and book in for dinner. Can you recommend restaurants on Sal? You may wonder if the island where you are landing is just to refuel before flying on to Sal. Nope, it is the dry barren land you have just arrived on that is the island of Sal. The capital city of the island of Sal is Espargos, although a 'city' to many Europeans would be where there were many products, services available. Espargos is more of a town with small businesses and stores where you can buy some products or supplies and fresh and frozen foods but there are more mini markets here than in other areas. 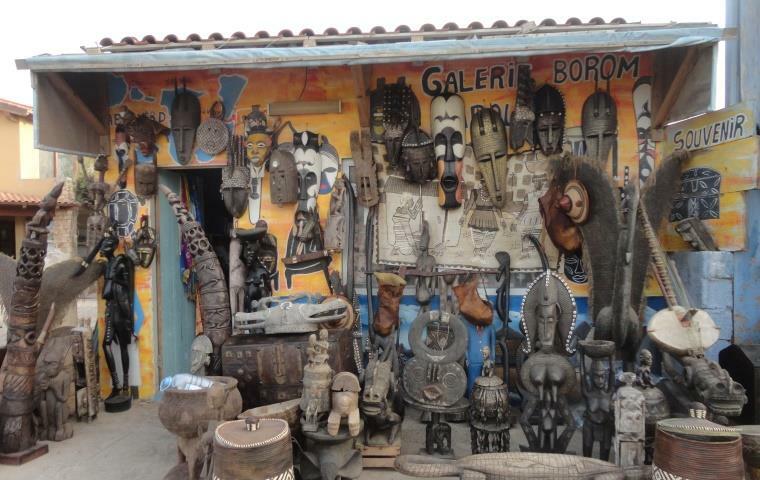 It is cheaper to buy some items or live in Espargos than in the tourist areas. Espargos is a short distance from the airport toward the north but central part of the island. Espargos means "asparagus" the vegetable asparagus which grows wild, it can be idendified by its yellow flowers and normally grows in sandy areas around the island. 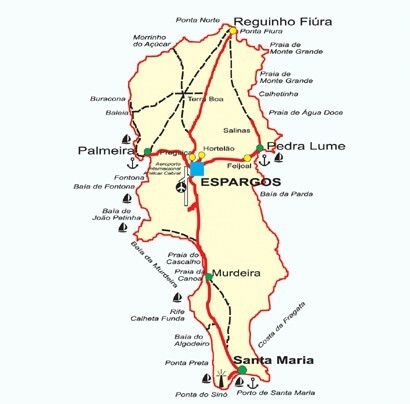 Espargos is connected with roads linking it to the port at Palmeira to the west, to Reguinho Fiúra to the north, Pedra de Lume to the east and Santa Maria to the south. The name of the airport is 'Aeroporto Internacional Amílcar Cabral' (SID). The only agricultural area is on the flat area further to the north east and is known as Terra Boa (good land). Many Europeans fly directly to Sal, though there are also flights to Morocco, USA, Brazil and elsewhere that can be taken from Praia on the isand of Santiago. Thomas Cook is now also bringing tourists to Sal from UK, in addition to Thomsons. Things have changed over the years since 2012 with new bars and restaurants in Santa Maria and more hotels opening on Sal Island. There are more and better musicians, some from Sal, other islands and from abroad. During the winter months there are more to see and listen too. However in the summer months or from the start of April through to October, there are fewer venues open or busy enough to continue providing entertainment as there are fewer tourists around. Travel - Sal - What are the population numbers on Sal? Travel - Sal - What are the restaurants like on Sal in Santa Maria? Travel - Sal - What's the local transport like on Sal Island?